There are many questions which young people ask themselves: how to plan my retirement, how much money to save, what kind of savings account to use? In the article, you can find some info on the best books dealing with retirement planning. When you are young, getting old and retiring seems to you as alien as the theory of relativity. But being young is the right time when you actually have to sit down and start thinking about the future. There are many questions which young people ask themselves: how to plan my retirement, how much money to save, what kind of savings account to use? 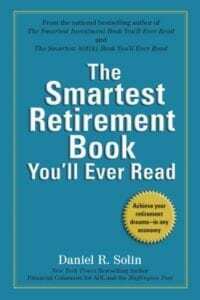 Below, you can find some info on the best books dealing with retirement planning. Let’s dive in! Written by Teresa Ghilarducci, a retirement and savings advisor, How to Retire with Enough Money is an easy and interesting read that will teach you how much money you need to have before retirement. And for those who don’t enjoy reading as much as they like taking selfies, don’t worry – the book is “just” 116 pages long. According to the book, a large number of Americans don’t save enough money which means that they will spend their years after retirement below the poverty level. That’s a fact! This book aims to change that by providing sound advice and a strict plan on how much to save for the future. There are no miracles or secrets. Everything is discipline and good planning. Which are the main takeaways from the book? Theresa is not a fan of IRAs and 401k, claiming they trigger lower pensions for retired citizens. Keep at least 70% of pre-retirement income during retirement so that we have a normal life. How do we achieve that? Well, there are three main components – social security, working during retirement and saved money prior to retirement (at least 8 times your annual salary). 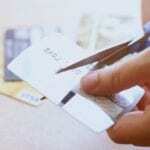 Curb your expenses and costs and don’t spend money on things you don’t need. Learn how to manage your money without the assistance of a planner. According to her, anyone can learn how to do it and should plan themselves for their future. Practical ideas how to achieve the above-mentioned. The book, written by Robert C. Carlson, offers an innovative approach to planning retirement, all the latest developments and newest strategies. The author, a retirement pro, has successfully combined profitable techniques with proven methods in order to show his readers how to retire without worrying about the future. The book does provide its readers with lots of information about conventional retirement plans, such as the 401k, pension and social security. Sounds boring? Definitely, if it wasn’t Carlson’s book. What’s more, there are sections dealing with the quality of life once you retire from work and how to improve your life by changing location, spending habits, so on and so forth. On the other hand, pensioners no longer live the sedentary life of the past. They travel and experience things they couldn’t prior to their retirement. You will find advice in the book on how to do that and even how to become a retired businessman. Why not? In his book, Daniel Solin will unravel the secrets of successful retirement depending on the current state of the global economy. Pursue a long-term insurance plan, which might cover medical expenses after retirement. Opt for Index Funds which are managed passively since they go with lower taxes and costs. According to Solin, if people do not invest their money they will most certainly lose it because of inflation. This is something that we all know but rarely give any thought to. Inflation will eat away at your savings. Therefore, he advises people to divide their money into two portions: one to keep somewhere safe, such as a deposit account or savings account and the other part to invest in various things that can increase your returns. He also touches on topics, such as social security, pensions, care costs, scammers and many more. He points out that anyone should try to postpone taking social security as long as they can. The older you get without using it, the more money you can have later. As a conclusion, I want to recommend this book to everyone who is confused and not completely sure what to do so that their retirement could be a successful period. This book is particularly suitable for people who earn lots of money. 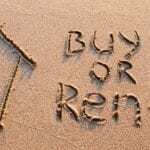 Most retirement books focus on the financial side of life – how much, when, where, how to invest, what to do so that you can increase your money. Unlike them, How to Retire Happy, Wild and Free is a book that will explore life in the context of retirement. As a life coach, Ernie Zelinski emphasizes the importance of various factors, such as fun and relaxing activities, active social life, mental and physical health which affect a person’s happiness and well-being. What can you learn from the book? Traveling is great; learn how, where and with whom to do it. As you can see, this book teaches life lessons and explores the depths of the human mind – dreams, wishes, desires and fears and how to eventually overcome these obstacles including any financial setbacks. In this book, readers will be able to find not only various planning tools but also one which is called Get-a-life Tree. This is a mind map which the author has developed himself and is unique to his work. When we are young, we don’t think about getting old. Yet, when we reach a certain age we start to worry and ask ourselves the question: what am I going to do? Therefore, it’s wise to think about that before you turn 65. 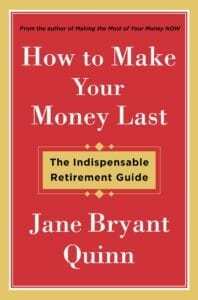 According to Jane, the author of the book, there are several major questions we need to answer once we retire? What will my standard of living be? Do I need to keep working so that I can live decently? How can I make my money last? Then she gives a brief overview of the different stages of retirement and dedicates different sections to people whose marital status is different – single, married, remarried, those who have lost a spouse and those who have divorced. In detail, the writer discusses topics, such as social security, pension, retirement plans, savings, housing and health costs and expenses. Why does she do it? Because Jane wants to teach how to benefit the most from this money and use all those financial tools to increase your wealth and enjoy your senior years. According to Jane, the safer the choices you make when it comes to investing, the higher the chances you will end up with not enough money for retirement. At the same time, people tend to live longer and longer, therefore spending one-third of their lives retired. That’s why she recommends “investing” in growth. While you still work, you have to make sure your money is invested in things that will produce growth and overcome inflation. This is one of the best guides on the market and a must-read. Some people, surprisingly, want to retire at a very young age. We have to respect their right to do so. But how can they achieve that? Is it actually possible? Buy The New Retirementality: Planning Your Life and Living your Dreams… At Any Age, You Want and find out yourself. Unlike other books which focus on how to achieve certain financial goals, this book aims at teaching you how to improve your mindset. 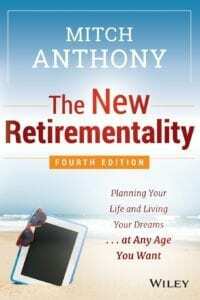 Author Mitch Anthony is a revolutionary because he coined the phrase “new retirementality” focusing on the importance of working on your mindset before you achieve a certain goal. He opened up talks about the issues the retirement system has been facing since early 2000 and the problems younger people might have when their time for retirement comes. The author had to face a long-lasting perception of retirement and try to present a novel idea. The old one assumed that people work till 62-65 and then retire. Then they live 20-30 year off their savings during their active period. I recommend this book because it is fresh, innovative and easy to read.